This space saving carrying case features storage compartments on both sides. 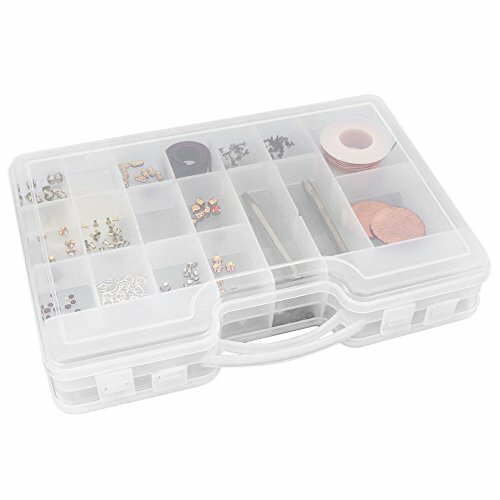 Two removable dividers allow you to create up to 32 compartments, perfect for storing beads and findings, and the clear plastic outer case makes everything easy to find. The two sides close and lock securely together, and the case has a comfortable handle for transportation! Overall size: 11" x 8" x 2-3/4"
PORTABLE - The handy carrying handle makes it easy to carry this case for storage on the go!